Holiday Hunting for your Favorite Camper? 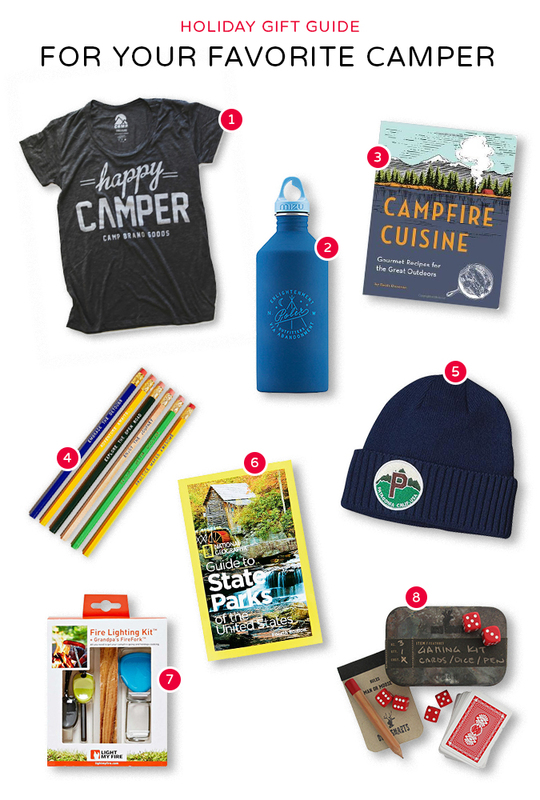 Alright, so maybe you're looking for something for the person in your life who is more than just a day-hiker... if you're in search of some inspiration for your favorite camper check out the below items and let them lead you to the perfect gift! It's hard to believe we're already a few days into December. I'm not going to lie though, the last few chilly days of rain we've had here in Southern California have made it a little more acceptable. And thanks to the rain, I've been spending a little more time on the couch, wandering the inter-webs in search of inspiration towards gifts for my family, friends and of course... myself. For the next few weeks I'll be bringing you some of my favorite adventure finds - from hiking gear, to camping gadgets to travel essentials - all in hopes to inspire you during your holiday hunting! It's hard to believe that just a decade ago there were hardly any steel water bottles available to the public for personal hydration. Back then we didn't know the health and environmental harms that certain plastic containers could inflict upon ourselves and the world. Thankfully, we've come a long way in a short time and discovered a lot about the dangers of BPA. Through that, we've found that steel water bottles are a great eco-friendly solution. And now with the countless numbers of brands, colors, designs and customization out there your bottle can be a fun way to express your personality out on the trails all the while encouraging healthy habits, sustainability and environmental consciousness! drink up!